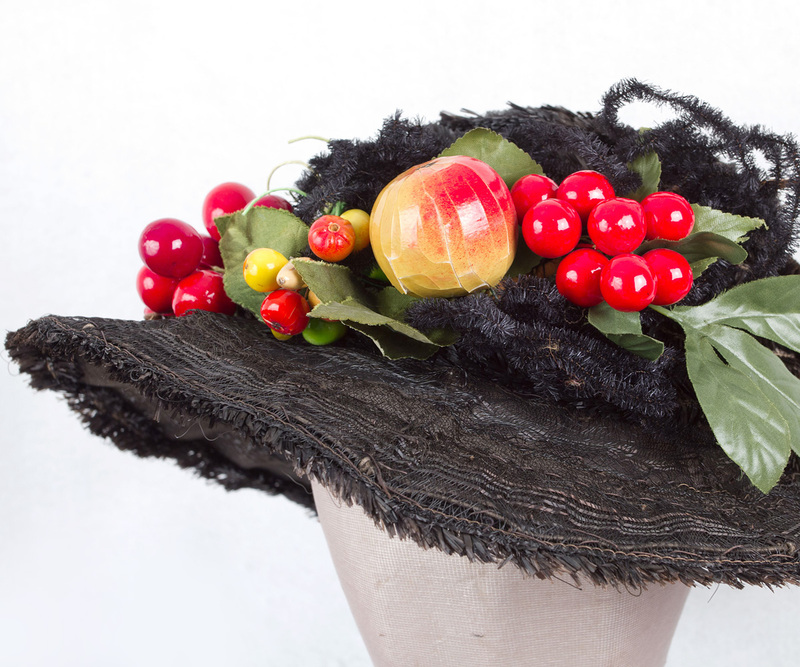 This whimsical hat is a charming break from the expected. The design achieves the ideal balance between sedate form and outrageous decoration. 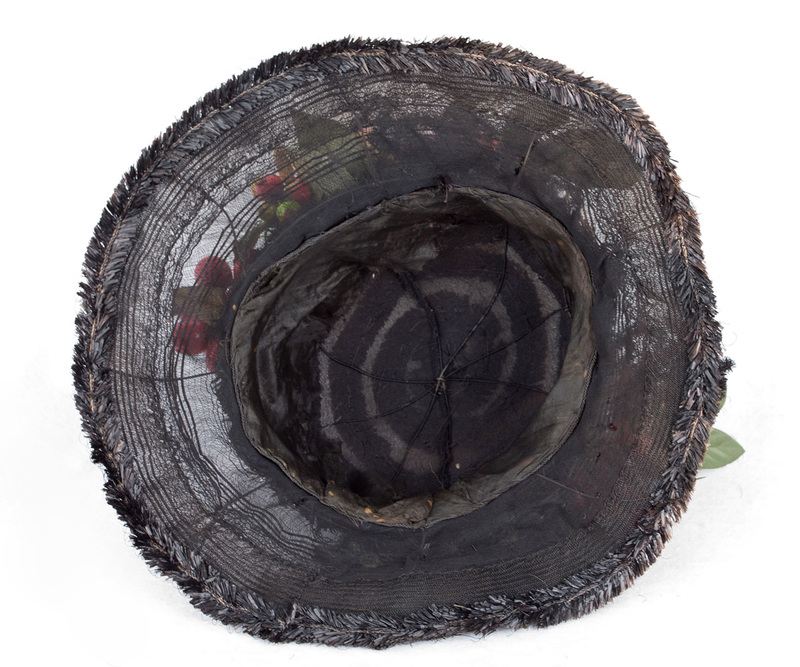 Made from black horsehair decorated with concentric circles of black raffia ribbon and stretched over a wire frame, the delcious decoration is to die for! 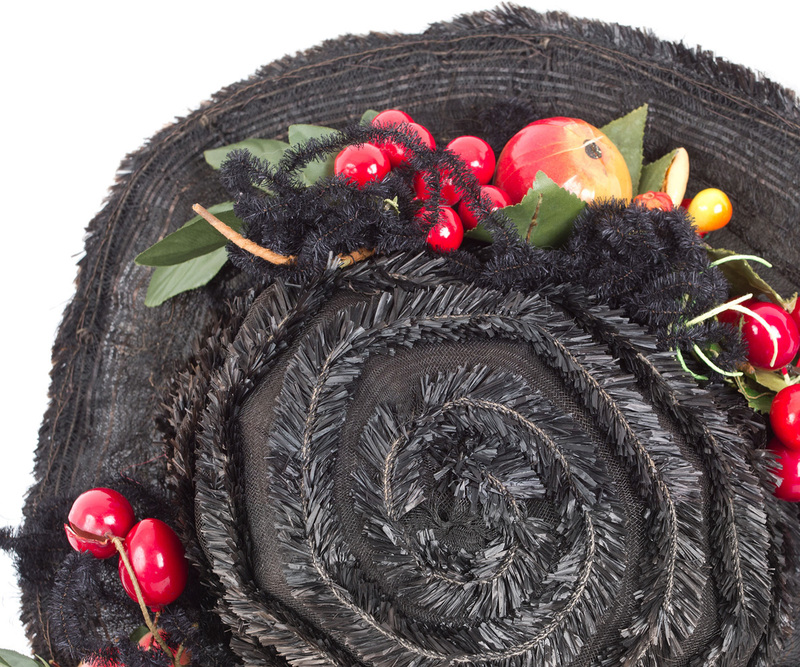 The looped bows are made from wired, chenille-style raffia. 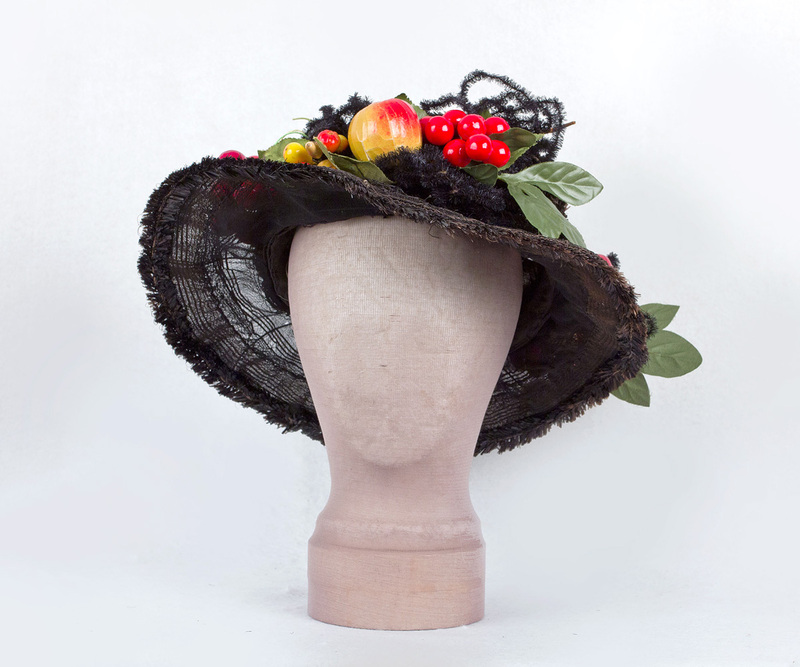 The brim is topped with mouth-watering faux fruit. 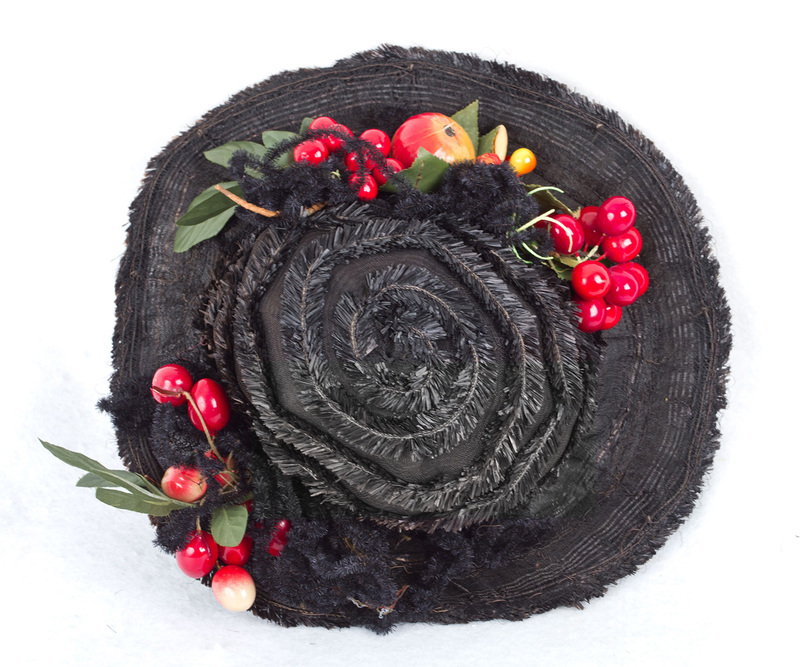 The crown is partially lined with black silk. The condition is almost excellent and all original. 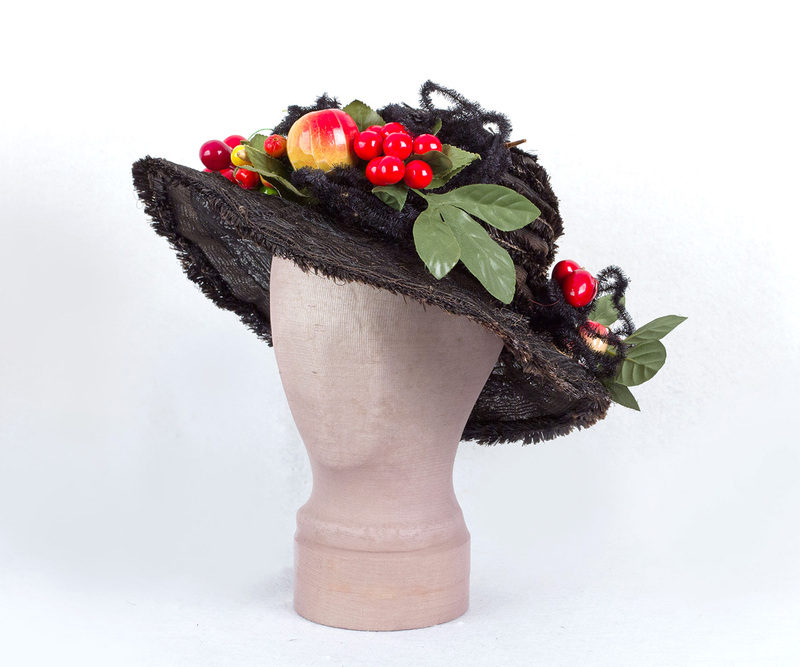 The hat just shows gentle wear. The brim diameter is 22".